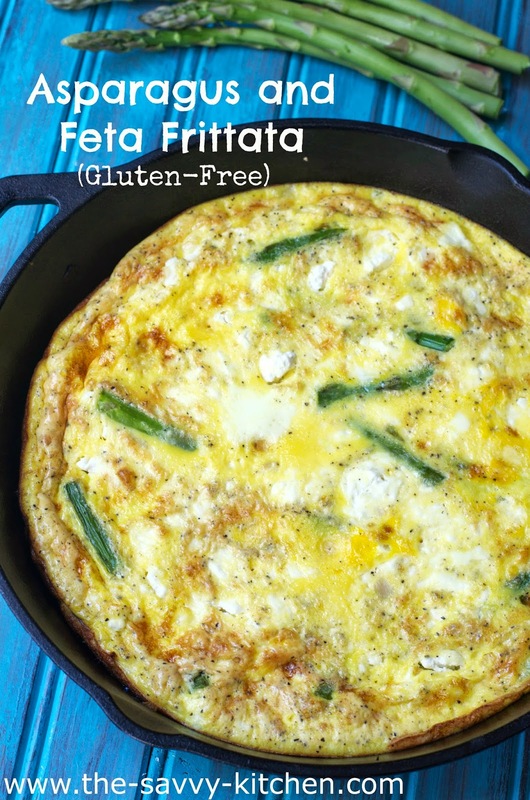 My mom made this frittata one evening when Bradley and I were over, and I rushed to recreate it when I got home. Frittatas are a money saver and a thoughtless weeknight meal. As long as you have eggs and some veggies or meats on hand, you can easily make one with whatever assortment of fillers you have available. Not only is this super quick and easy to make, but it's low carb AND gluten-free. In each bite, you get a crunch of crispy asparagus and a taste of the soft, melted feta cheese. The eggs simply bind the whole thing together, so even if you're not a huge egg fan, don't fret. They don't stand out much. 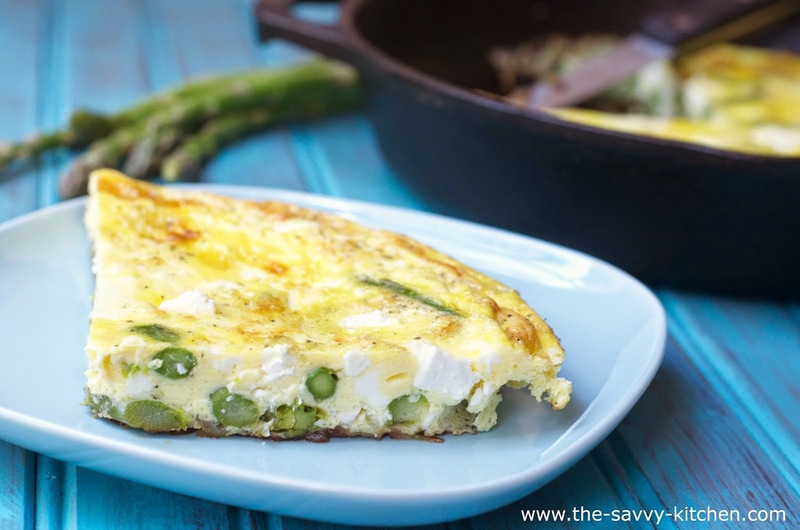 This is a great dish for brunch, breakfast or even a quick snack. Enjoy! In a 10-inch cast iron skillet, add oil. Add asparagus, shallots and garlic and cook for 3-5 minutes until asparagus starts to become tender. Meanwhile, whisk the eggs, milk, salt and pepper together in a medium bowl. Set aside. 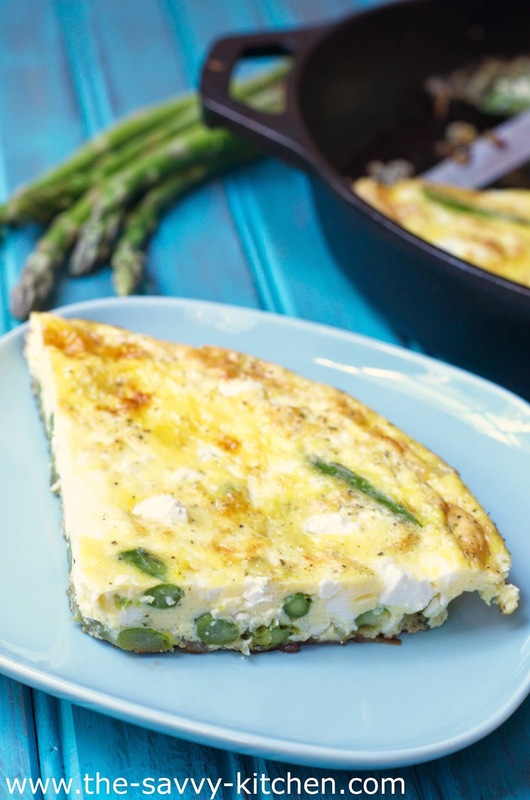 Once asparagus is tender, sprinkle feta over top. Pour egg mixture over top. Cover and cook over medium heat for 3-5 minutes or until eggs are nearly set. Put under broiler for 3-5 additional minutes or until eggs are completely set.